공자가 당시의 공경사대부 및 72명의 제자들과 문답한 것 중 『논어』에 편입된 것을 제외하고 여러 서적을 모아 기록한 것에 원나라 왕광모가 각 장별로 제목을 달고 자세하게 풀이한 것을 붙인 것으로 박은이 강릉감영에서 간행하였다. 박은(1370∼1422)은 조선이 건국된 후 태조 7년(1398)의 제1차 왕자의 난과 정종 2년(1400) 제2차 왕자의 난 때 이방원을 도와 공을 세운 인물이다. 이 책은 박은이 강원도도관찰출척사로 임명받고 부임하였을 때 이 책이 우리나라에 간행되어 있지 않음을 알고 그곳에서 번각(飜刻:한번 새긴 책판 등을 본보기로 삼아 다시 새김)해 낸 것이다. 이 책판은 조선 전기의 지방관이 주도하여 만든 판본으로서는 비교적 정교하여 조선 전기 출판문화사 연구에 필요한 자료로 평가된다. 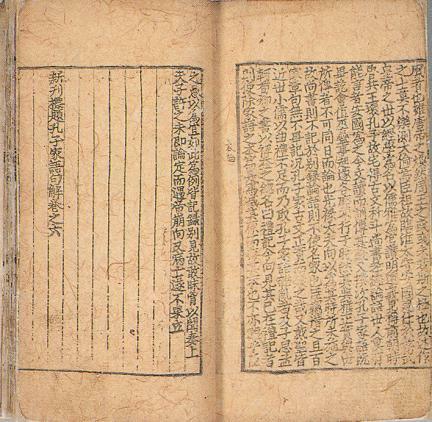 Singan pyoje gongja gaeo guhae (Sayings of Confucius with Commentaries) contains the discourses by Confucius with nobles and 72 of his disciples except those included in Lunyu (Analects of Confucius). 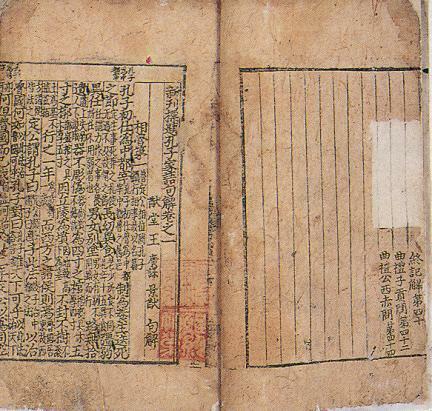 Wang Guangmou of the Yuan Dynasty put the title on each chapter and added detailed annotations; in Korea, this book was published by Park Eun (1370-1422) at the Gangwongamyeong Provincial Office. Park Eun rendered distinguished services on Yi Bang-won’s side during the First and Second Princely Coup D’etat in 1398 (seventh year of the reign of King Taejo of the Joseon Dynasty) and 1400 (second year of King Jeongjong’s reign), respectively. 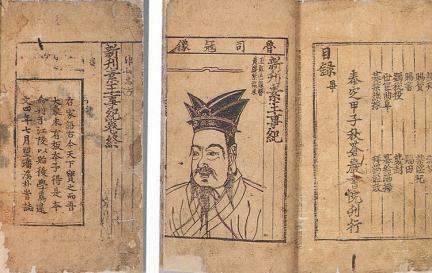 He realized that this book had not been published in the country when he left for his new post in Gangwon-do Province, so he reproduced the printing blocks based on the original version. 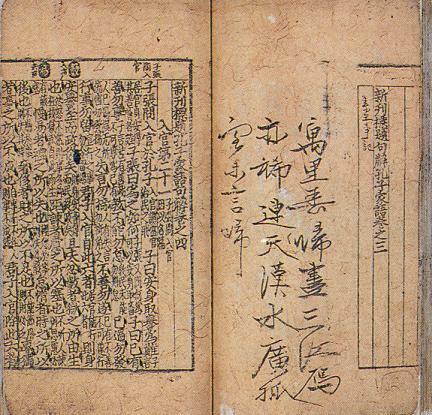 This book is a valuable material in studying the publication culture in the early Joseon Period, since it is elaborate compared with other local government publications in the same period.